1. With the right mouse button click the Start icon and choose System. If you have a touch enabled device, click and hold the start button, then tap the System button. 3. Under the tab “Computer Name” find the Change… button and click it. 4. 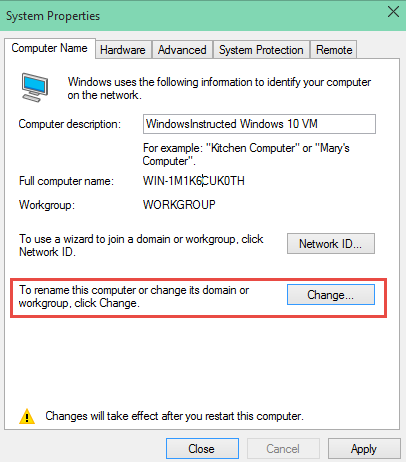 Under “Computer Name” change the computer name. 5. Then click on OK, then when prompted reboot your device. 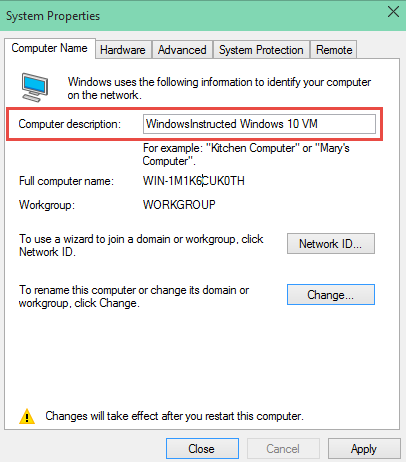 You should now successfully changed your Workgroup and other systems should now be able to see you, and you should be able to see them. 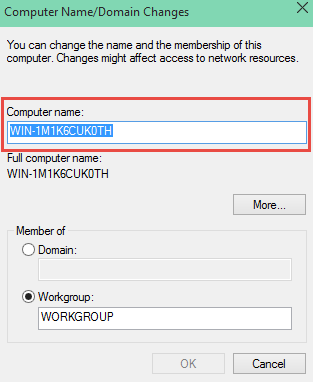 I hope this helped you change the workgroup settings in Windows 10. Optionally: Change the Computer Description. 3. You now see a field Computer Description, change the description.